Effective representation before the Internal Revenue Service (“IRS”) can be crucial, and finding an experienced attorney to stand by your side is advisable when you’re involved in a tax controversy, such as a complex examination (audit), a legal matter that could result in criminal prosecution, a dispute with the IRS collection office or Appeals Office, applying for an offer in compromise, or filing a claim for a refund. Securing qualified tax counsel can improve the presentation of your case, the protection of your interests, and the building of the case’s legal record. The last is especially true if further judicial action is necessary. Representation in these cases is also known as practice before the IRS, and it is detailed in IRS Publication 947 (download Pub 947 pdf) and Circular 230. This process and who is authorized to represent you at various stages with the IRS is highly regulated, so you should review Publication 947 and the tips and directives below before getting started. What does practice before the IRS cover? Who may practice before the IRS? An individual can represent him or herself, and family members can represent members of their immediate family, including their spouse, child, parent, brother, or sister. A variety of professionals can practice before the IRS, including attorneys, appraisers, CPAs, enrolled actuaries, enrolled agents, low income taxpayer clinic student interns, and unenrolled return preparers. Unenrolled return preparers may only represent taxpayers before revenue agents, customer service representatives, or similar IRS officers and employees. A power of attorney authorizes the representative to receive your confidential tax information and to perform specific related actions on your behalf. If no restrictions are imposed, the individual can do anything that you can perform, including representing you before the IRS, signing waivers, signing consents, agreeing to audit assessments, closing agreements, appeals settlements, etc. You should complete Form 2848 fully and accurately to prevent unnecessary delays and difficulties. You should also carefully consider which acts you will authorize your representative to perform in section 3 and specific acts that you do NOT authorize the representative to perform in section 5. What are the duties required of a representative? How can a representative be disbarred or suspended from practice? Attempting to influence an IRS employee through threats, gifts, favors, etc. Why should I hire an attorney before an audit? If you have never dealt directly with the IRS, hiring an experienced tax attorney may be to your advantage. The attorney will understand the law and have experience with audits. Their expertise will help you successfully prepare for the audit and will likely lower your stress levels and bolster your confidence. Before the audit begins, your attorney can review your records to spot and prevent or prepare to deal with potential problems. You can consult with your attorney at any point during the audit if you have questions or concerns. Your attorney can contact the auditor on your behalf. Why should I hire an attorney for a tax controversy? When confronting a tax controversy, hiring a reputable and knowledgeable representative may be in your best interest. Tax matters can be complex and financially critical. Having a legal representative on your side will bolster your confidence and ensure that the IRS does not take advantage of your naiveté. A legal representative can help you navigate complicated tax laws, avoid penalties and criminal actions, and perhaps achieve a more favorable resolution. 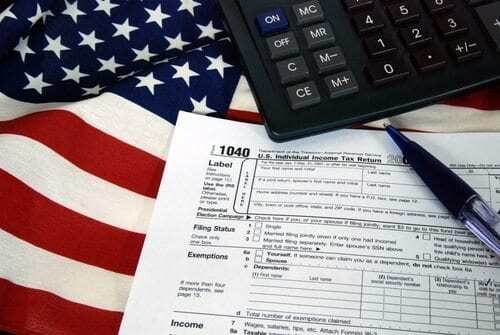 Contact the attorneys at Carnahan, Evans, Cantwell & Brown, P.C., if you’re seeking representation before the IRS. It is easier for an attorney to represent you if you are both in the same geographic area, but we may still be able to assist you even if do you not live in southwest Missouri. Our experienced lawyers are well equipped to represent clients before federal and state agencies. We can help you challenge or seek redress of an agency action. Whether you need help communicating with the IRS or the Missouri Department of Revenue, Carnahan, Evans, Cantwell & Brown, P.C., is here to help. Let us provide you with the sound legal counsel you need to manage the situation and navigate the regulations of the IRS or Missouri Department of Revenue. To get started, telephone us at 417-447-4400 or contact us online. We look forward to hearing from you! Do not send us information on a specific legal matter until you speak with one of our lawyers and obtain authorization to send that information to us. Communication with our attorneys through the web site may not be considered as confidential or privileged. Our policy is not to return e-mail regarding a specific legal matter from anyone who has not already engaged the firm.